For this quilt, I wanted to make a very dramatic large flower. I used all pinks, oranges, and reds from my stash, making this quilt quite scrappy. It was super fun to make because it only has two easy components in it. 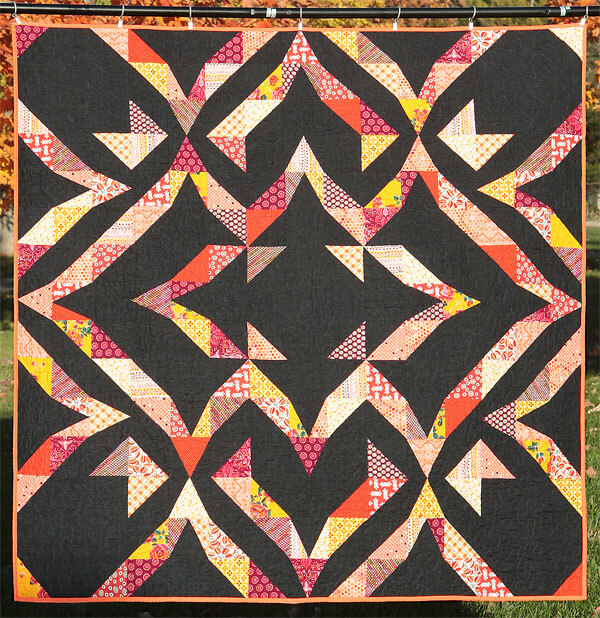 This is a double-sided quilt. The other side is my Starling quilt pattern.